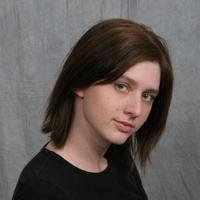 Today we are welcoming Crystal DV of And So Today... to Contessa at the Crossroads for a guest review. 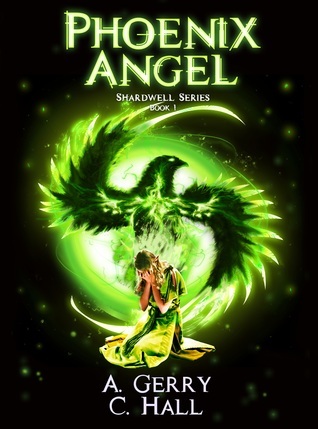 Crystal has reviewed Phoenix Angel (Shardwell #1) by Amanda Gerry and Christy Hall. What is happening to us? I’ve asked this question a thousand times, but there is no answer. I was a normal teenager, trudging my way through senior year with my best friend. Then a boy named Kyle Spencer came to Idaho Falls, and since then everything has fallen apart. Something mysterious has passed among the three of us. We’ve developed terrifying abilities—strange powers that separate us from normal people. Even worse, someone—or something—has taken a deadly interest in us. We never know when they are going to strike, or how to protect ourselves. We don’t even know who they are. All we know is that they want one of us alive, and we don’t know who. The others they want dead. Crystal's review: Phoenix Angel was given to me to read for my review and let me just start by saying how amazed I am that two people could teamwork it though an entire book together successfully. Not to mention that they are sisters! 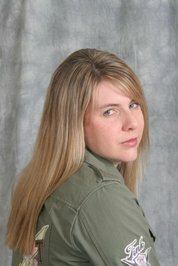 I can get along with anyone in just about any situation, but there is no way that I would be able to sit and write a novel with someone without that person mysteriously disappearing. That goes double where a sibling is involved (not that I don’t love my sister dearly). Gerry and Hall pulled it off beautifully! Phoenix Angel had my full attention within the first 50 pages. After that I couldn’t put down. When I had about 70 pages to go, I wished that I had the next novel lined up and ready because I knew it was going to kill me to wait for it. And it still might! Maggie is a beautiful high school girl scorned by a football player. Since the experience she’s become closed off and nasty to her fellow classmates, especially if they’re in a certain popular crowd. Her best friend, however, is the other side of the coin. Loved by all and on every school planning board, Lily, always has a sunny disposition and is always smiling. Lily more or less keeps Maggie (and her mouth) in check. Friends since they were babies, they have a deep, sisterly bond. There’s a new guy in school with calendar-guy good looks and is easily the best player on the football team. Kyle has instant fame. The guys all worship him and the girls are falling at his feet. However, he has eyes only for quick-tempered Maggie – and she hates him. In fact, the first time their eyes meet, Maggie becomes violently ill. Lily thinks that Maggie should give Kyle a chance and Kyle is ever trying to prove to Maggie that he’s not the typical jock, even saving her from sexual harassment from the other players and rescuing her from an attack at work. She’s constantly fighting off his attempts, but he’s relentless. SPOILER ALERT - It all leads up to the best first kiss I’ve ever read! Soon after meeting, Maggie, Lily, and Kyle all develop strange new “talents”. They believe these talents to be the reason behind a violent attack by large-poison-fanged –telepathic wolves. The trio resolve to develop their talents to better defend themselves against any future attacks. Something is obviously after Maggie, and that something is willing to kill Lily and Kyle to get her. Soon another new guy shows up in town and it’s quickly clear that he’s part of whatever is happening with Maggie, Lily, and Kyle. Friend or foe, Carter joins the trio and discovers that he has powers as well. Together they fend off a double attack led by a man in white and a man in black that seem to know them all, but by different names from a different time. The attack leaves hundreds dead and one of them behind while the others escape. The book ends as the perfect set up for a great series. Maggie, Lily, Kyle, and Carter are part of an ancient battle between good and evil. We don’t know yet who is on what side. And although I have my suspicions, I have a feeling that Gerry and Hall have a twist. I can’t wait to get my hands on the next book! "*We received a copy of this book for free to review, this in no way influenced my review, all opinions are 100% honest and my own." "Thanks to the publisher or author for sending us this copy!"